October 19, 2010  Computer models are fine, but sometimes the only way to measure the effects of major disasters on buildings is to destroy a house (or nine). Today, the insurance industry opened a massive new lab to test disasters. 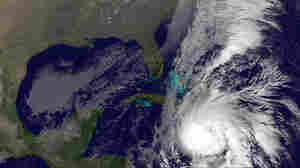 September 2, 2010  It's rare for hurricanes to hit major cities in the U.S. Hurricane Earl appears no exception. September 18, 2008  In talking about Haiti, Lee Hill blogs about how it's one thing to find yourself in dire straits, but it's even more disparaging to realize that no one knows or acknowledges the depth of your suffering, regardless of the nature of the storm.